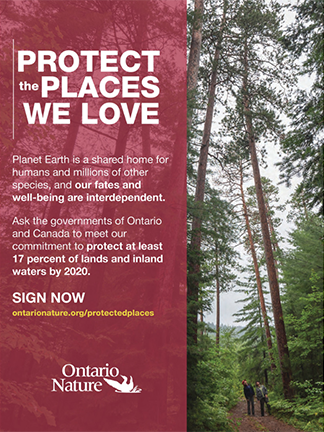 Ask the governments of Ontario and Canada to meet the international commitment to protect at least 17 percent of our lands and inland waters by 2020. The spring 2019 issue is now available for you. 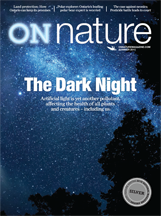 ON Nature magazine is an award-winning quarterly that brings readers closer to nature by exploring Ontario’s natural species and spaces, and providing insight on timely conservation issues. 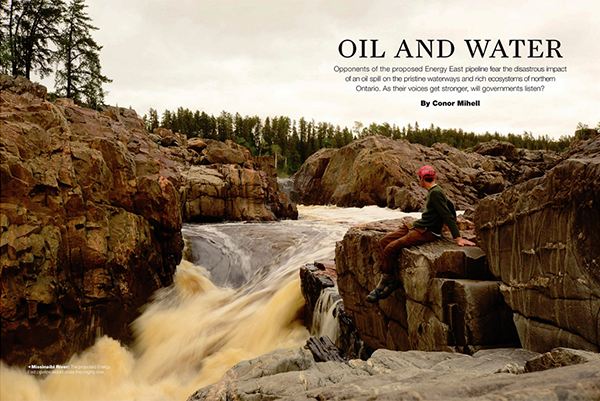 ON Nature’s contributors include award-winning journalists and photographers and experienced conservationists. 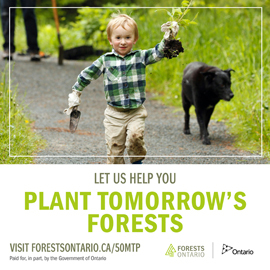 The magazine is published by the one of the province’s leading environmental organizations, Ontario Nature. 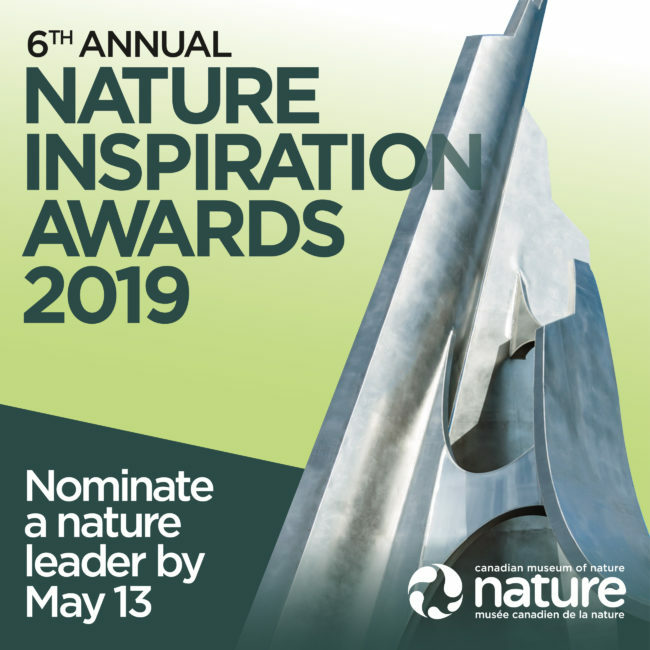 Read more about ON Nature.